There are some things that you know you have to do and you are honored to do it. This was one of them. Last summer I accepted an invitation to join a focused conversation about mental health and preparing people for religious leadership. The gathering took place last month and the group included national staff leaders from several denominations and I was their guest. Entering the hotel executive conference room, I was nervous and excited. 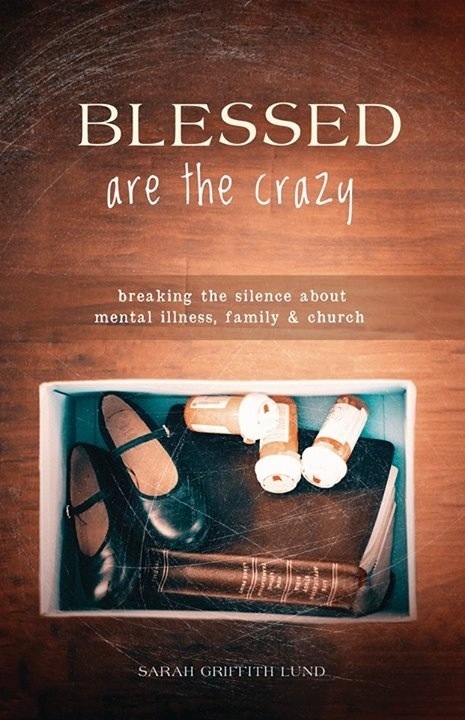 For me this really was a “capstone” experience where I got to reflect on the hundreds of conversations that have emerged in churches since the publication of my book Blessed are the Crazy: Breaking the Silence About Mental Illness, Family and Church (Chalice Press, 2014). I have just spent the past three years touring the country speaking with congregations about my book and mental health ministries. What I heard and saw confirmed this: mental illness in the church is often seen and experienced as a shameful secret. This secrecy is a problem for religious leaders who do not feel safe disclosing or addressing their mental health challenges. In the shadows of secrets, the shame and stigma grows. We spent the whole day together shining a light on mental illness: sharing, asking questions, and listening to each other. We realized that the church needs new ways to think about mental health and religious leadership. We wondered what it would look like to celebrate religious leaders who represent a diverse “color pallet” of mental health across the spectrum. We wondered what it would be like if we assumed that a majority of people seeking authorization for religious leadership bring with them personal life experiences of mental health challenges. We wondered what if we viewed lived experiences of mental health challenges as a source of character development, resourcefulness, perseverance, grit and resiliency. We wondered if God is calling people with neuro-diversity to help us imagine and create new ways of being church. We wondered if we can better provide those seeking authorization for religious leadership with resources and support services for mental health and recovery. We wondered if as a church we could participate in preventative mental healthcare by providing religious leaders with a “check up from the neck-up” otherwise known as depression screenings. We wondered if national Conferences, Synods, and Assemblies of our religious bodies could offer free on-site depression screenings as an expression of Christian love. We wondered about when to say no to a person seeking authorization for religious leadership out of concern that they might harm the church. We wondered about when to say no to a person seeking authorization for religious leadership out of concern that the church might harm them. We wondered about what it means to be mentally healthy and to flourish in our lives and in religious leadership. We wondered what is preventing our flourishing and the church’s flourishing. We wondered what is the purpose of providing psychological testing of people seeking authorized religious leadership. We wondered about many things and in so doing we broke the silence that has kept us trapped in old and outdated systems and patterns. It was a rich time of sharing that began with my giving testimony to the ways God has shown up in my life as I have faced the reality of mental illness in my family. In breaking the silence about mental illness, family and church, we made space to begin to wonder what if. What if we break the silence? What kind of religious leaders do we want? Do we need? If it is from the places along the spectrum of mental health that the most creative and resilient religious leadership emerges, then out of the silence, new religious leaders are being called. New systems and methods of preparing religious leaders will be needed as well.